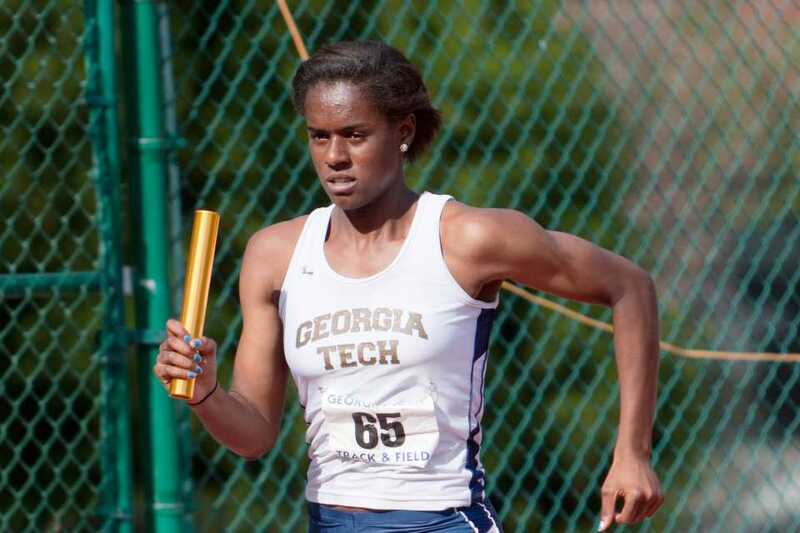 The Tech men’s and women’s Track and Field teams both competed in the Rod McCravy Invite in Lexington, Ky. on Friday, Jan. 24, and Saturday, Jan. 25. This marked the fourth consecutive year that Tech has competed at the invitational. The Jackets competed in the women’s pentathlon, men’s and women’s long jump, men’s high jump and the women’s 5000 meters events on the first day of competition. Four Jackets finished in the top-five in their respective events after the first day of competition. A career-high of 3483 points helped sophomore Alex Braxton to finish in fourth place in the women’s pentathlon. The Jackets also had two third place finishes in the long jump. Junior Julienne McKee had a season-high leap of 6.01m for the women, while freshman Myles McDavid had a jump of 7.30m for the men. Tech had two athletes finish consecutively in the men’s high jump. Senior Mykhail Chambers took third with a jump of 2.07m, while Brandon Mbaba’s 2.02m jump was good enough for fourth place. In the women’s 5000-meter race, senior Elena Hubbard set a career-best time, finishing in 18:29.37. The Jackets experienced more success on the second day of the competition, with top three finishes in the men’s 60-meter dash, men’s 200-meters, men’s 800-meters, and men’s triple jump. Freshman sprinter Broderick Snoddy won the 200-meter, beating the other 39 competitors with a time of 21.33. Snoddy, who is also a running back on the football team, also placed third in the 60-meter dash with a school record time of 6.75 that matched the record he set the weekend prior at the Auburn Invite. This followed a time of 6.77 which led to Snoddy winning his round of the preliminaries. The Jackets also had a second place finish in the men’s 800-meter event with senior Shawn Roberts’ time of 1:49.10. In the men’s triple jump, junior Jonathan Gardner finished third with a distance of 15.35m. Both the men and women experienced success in the mile run. Senior Maureen McMeekin finished seventh and freshman Caroline Kissel finished ninth for the women, while sophomore Jeremy Greenwald (fourth), junior Alec Clifford (fifth), senior Joseph Stowe (seventh) and senior Erick Powers (eighth) all finished in the top-10 in the men’s mile. Both the men’s and women’s track and field teams will next compete at the Meyo Invitation in South Bend, Ind. starting on Feb. 1.